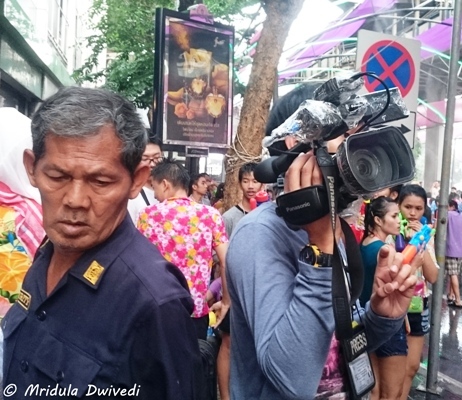 When I was invited by TAT New Delhi to attend the Thai New year celebrations my first concern was how to photograph to Songkran? I mean it is a water festival and my camera doesn’t mix well with it. It was totally not acceptable to me that I would attend the festival without clicking pictures. So, I turned to the internet to figure out how others did it. Other people’s experiences quickly told me that using my SLR was out of question. I am very fond of it. I knew if I took it out, it would meet a watery grave. I am glad I came to this conclusion without even leaving home. 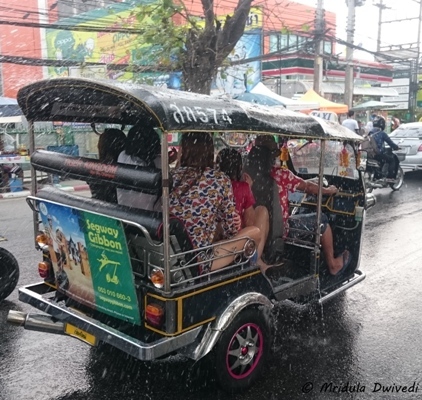 Now that I have attended the festival and photographed it here are some tips on how to photograph Songkran. 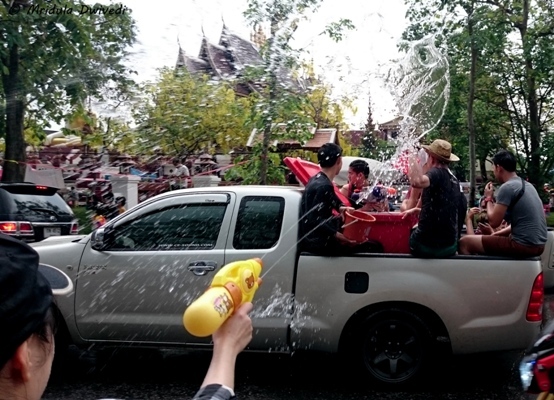 My personal experience says that people throw water with abandon and gusto during Songkran. So, having something waterproof is the only way to do photography during the festival. I had a waterproof cell phone, a Sony XperiaZ3. It stood me good throughout the festival. I can now vouch personally that some people will actually aim for your gadget. 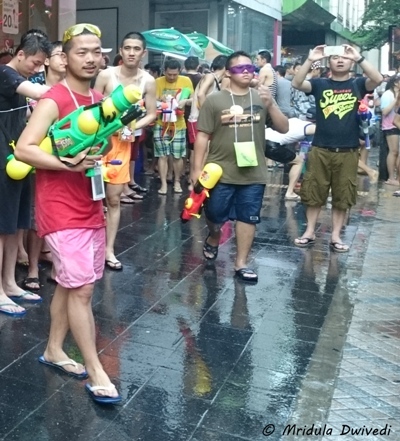 I would usually laughed after someone aimed their water gun at my cell phone. They would be mystified for a while and then conclude correctly that it was indeed a waterproof cell phone. I would then ask my tormentors to pose for me which they would readily do. However having a waterproof cell phone is not the only option. A cheap way to achieve the same effect is to put your cell phone in a waterproof pouch and click pictures. The experience might be a little limited but hey you will still have some pictures! If you have a waterproof casing for your camera then nothing like it. I saw someone using polythene to wrap their video camera. 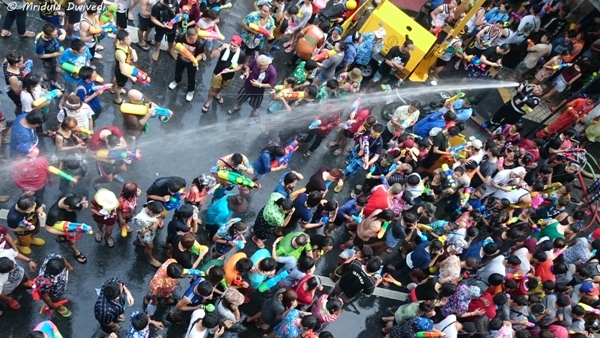 Be creative, think of ways to secure your camera from water and you can click pictures during Songkran. 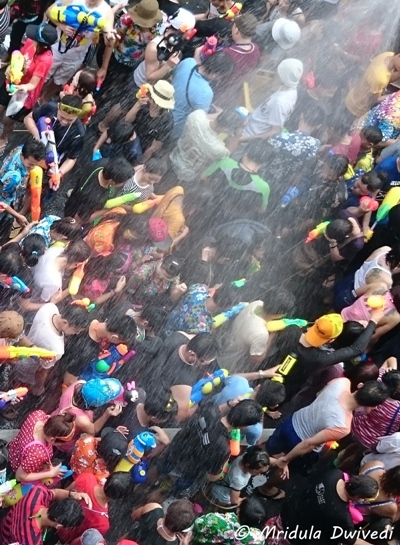 One of the most popular spot for Songkran in Bangkok is the Silom Road. 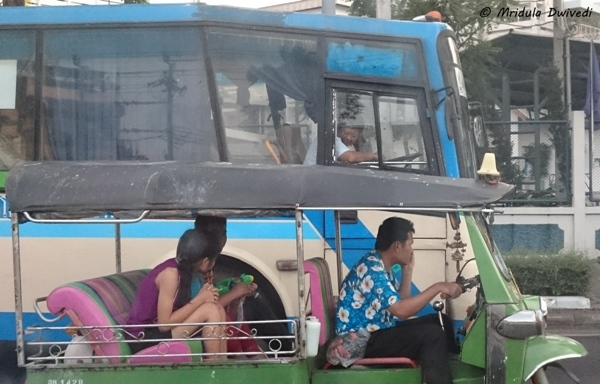 There is a skytrain bridge in the middle of the Silom Road. It is a good idea to climb it. 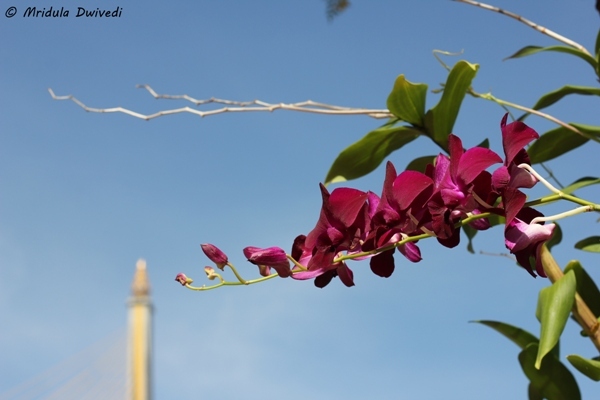 Not only it gives a beautiful vantage point for photography, it keeps your camera relatively safe. Do note I say relatively. People do not splash water on the train premises but an odd spray could still come your way. So on a bridge, it is possible to take out a camera that is not waterproof out of the plastic pouch and quickly click a few pictures. But you still need to be careful, as we cannot rule out the possibility of an odd spray coming your way. Another vantage point that I found was the highest ferris wheel in Thailand at Asiatique called Asiatique Sky. 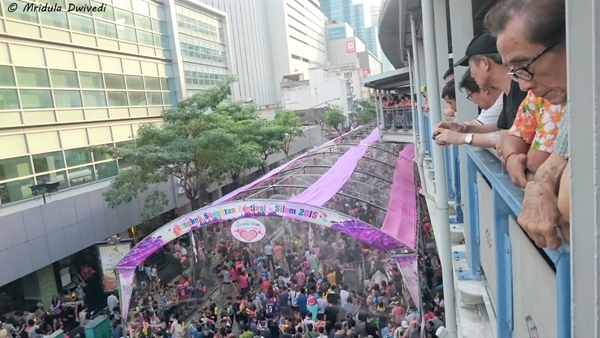 A water festival was going on right next to it. 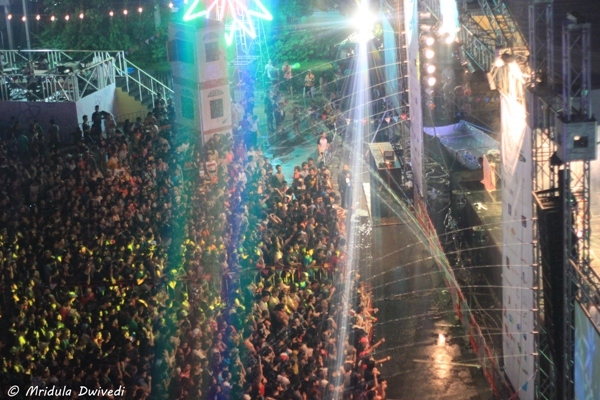 I could safely photograph the festival sitting inside the car of the ferris wheel! So if you can’t find a way to waterproof your camera, finding a safe elevation point is your next bet. I cannot stress enough that in public spaces like a bridge you still have to be careful. For taking a few quick pictures you could stand in a spot away from the main path of the festival. Eventually you would be discovered but this strategy would be good enough for a few minutes. Before attention turns to you it would be prudent to stash away your camera safely. 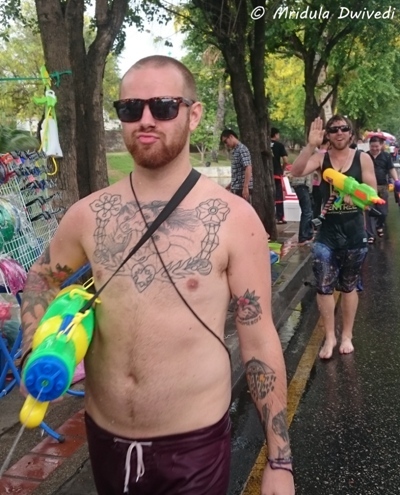 In conclusion the only safe way to photograph Songkran is to have a waterproof device. Climbing a skytrain bridge or finding a secluded spot would give you a few shots but your equipment is still at risk. So it is prudent not to take out your expensive stuff out to experiment. If you have to take a chance, take it with cheap stuff. I am writing this post in a hurry because later tonight I fly out to my favorite country again. 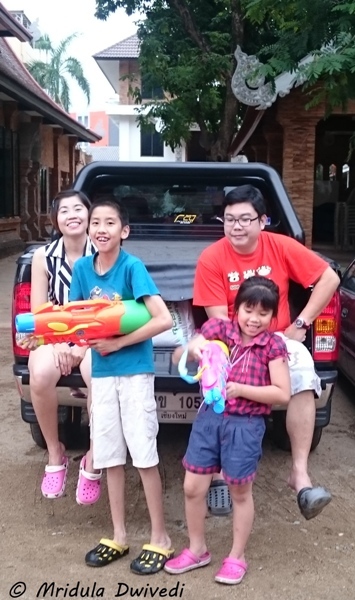 I am going to Thailand to attend Songkran, the water festival associated with the Thai New Year. I am super excited. This is my 5th trip to Thailand and I am really grateful to TAT New Delhi for taking me out to Thailand so many times. So, in this post I present you the skies from my previous trips. Now my tally of highest visits to a country is a tie- 5 each for both UK and Thailand! 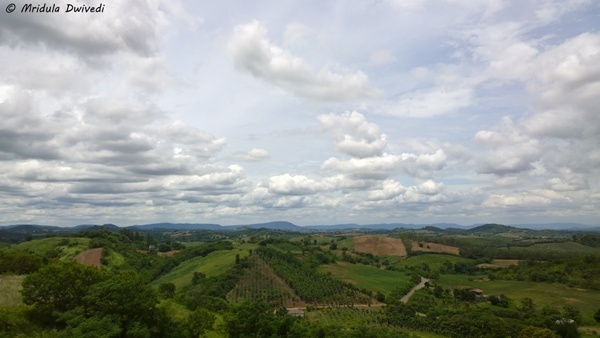 And I hope Thailand soon becomes my most visited country. 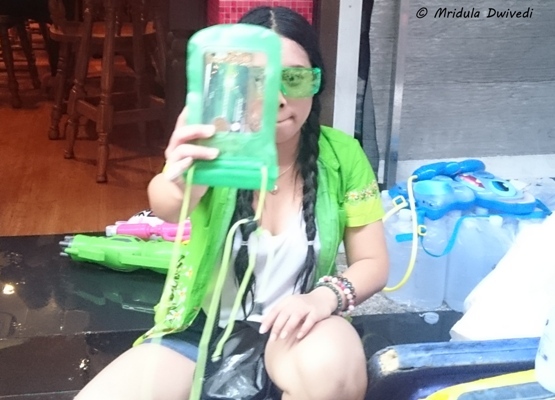 As Songkran is a water festival I was wondering how to photograph it. 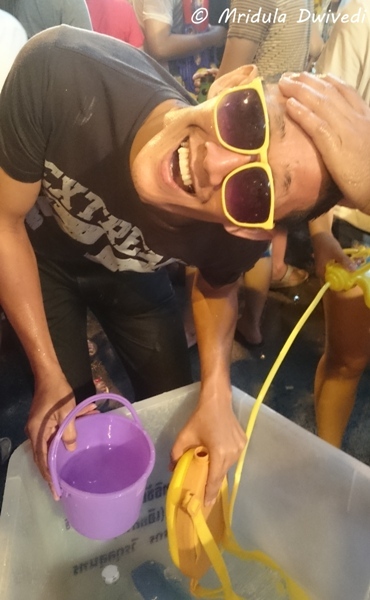 I checked out the net for tips on photographing Songkran. I quickly realized that taking out my SLR was out of question. There is a very high probability that it would meet a watery grave. 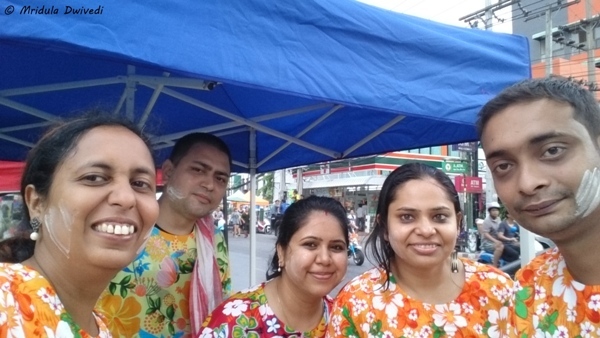 I so like clicking pictures that I could not dream of doing posts without pictures or using pictures from press release for Songkran. I was in a fix. And that is when I remembered my XperiaZ3. It is waterproof! 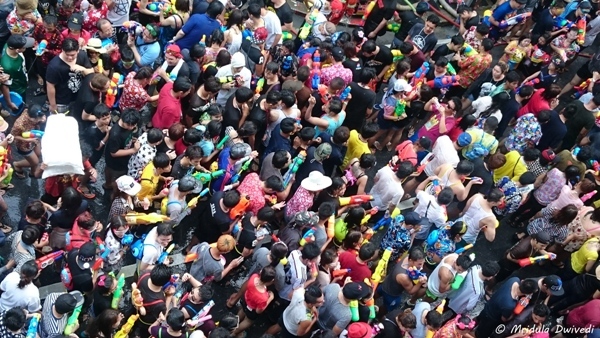 So, it is time to check out whether it is Songkran proof or not. I had actually given the camera to my sister so it was easy to pinch it back from her. We swapped the sims. She struggles with a windows phone but the sweet person she is, she has assured me that if I ever need to swap phone again she would be game for it. 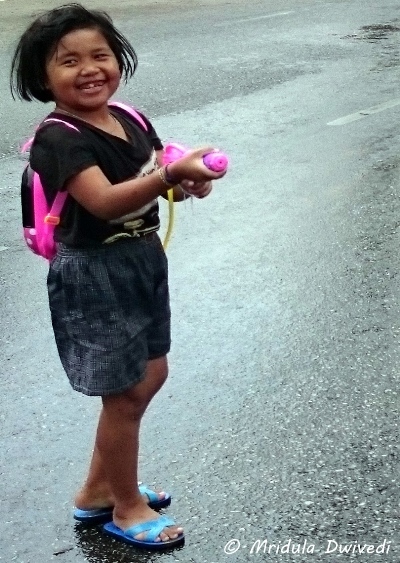 I am now armed with a waterproof phone, I am so looking forward to getting drenched this Songkran and get back some stories and pictures for my blog. I should be getting up now and get ready to leave. 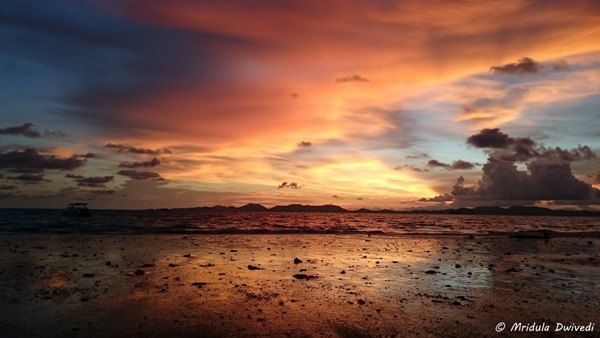 See you all from Thailand tomorrow.